O.M.G! What can I say…..super tasty and fluffy! I attended a Doughnut Master class recently and thoroughly enjoyed it, so this weekend was the time to put my new found skills to the test and it was a success. I was so pleased with myself, although I am a perfectionist so I’ll give these 9/10, always room for improvement…..lol! 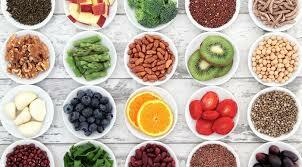 The flavour ideas going through my head just now are buzzing, so look forward to experimenting in the future. Add all the dry ingredients to a mixer the add the eggs and water. Mix on low setting for 30 seconds then on high for 5-7 minutes until the dough comes together. Let the dough rest for a minute, then cut up the butter into cubes and add to the dough. Mix on high for about 5 minutes. Once mixed transfer the dough to a large bowl and allow to rise/prove until double in size. If you have a setting on your oven great, if not cover with cling film and leave in a warm place. Remove dough from fridge, knock back and roll into 55g balls then cover with flour. Lay onto a baking tray, making sure you cover the tray generously with flour or the balls will stick. Allow space in between for them to double in size. Prove the balls until doubled in size. Preheat some rapessed oil in a pan to between 175-180 deg. Gently place the balls in the oil and fry for about 2 minutes each side. Remove, allow to cool slighty and roll in the sugar. Set aside. Slowly add the milk to the egg mixture, ensuring you whisk at all times to prevent curdling. Remove from heat and put into a dish, cover with cling film ensuring film is touching crem pat. This is to prevent a hard crust forming. Allow to cool then chill in fridge for around 2 hours. Remove and add in your choosen flavours. I used Lemon Curd in 1 and Nutella in the other. Transfer crem pat mixture into a piping bag. 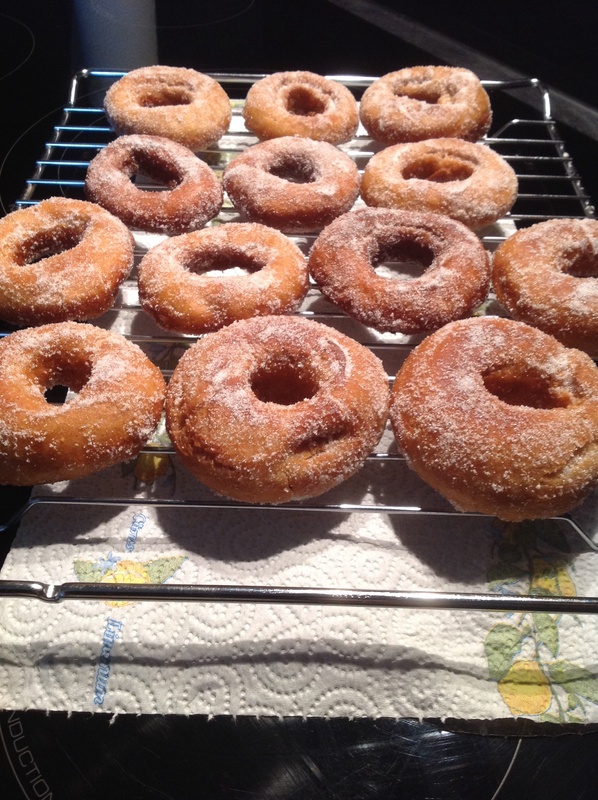 Take the doughnuts and gently push your finger into the side where it is white making space for the filling. Gently push the piping bag in a fill. Nothing else to do then get the kettle on and devour! Oh so Yummy! I recently bought this little jar of Oak Smoked Apple Butter from The Sweet Beet Company, I decided to give doughnut muffins a go……..oh WOW! So tasty and different, another great food find for my recipe book. Preheat oven to 165 deg. Add in melted butter, milk, vanilla, apple butter and eggs and mix together until well blended, if too thick just add a little more milk. Spoon mixture evenly into the muffin tin, only about 3/4 full. Bake for about 15 minutes or until a knife comes out clean. Mix together the sugars and cinnamon in a bowl for the topping, and set aside the egg wash. Once the muffins have cooled, remove from tin and brush with egg wash then dip into the sugar mix, thoroughly coating the whole muffin, lay on a rack to set. Serve with a lovely cuppa! These are so moreish! Knead the dough and leave to rise/prove for about 45mins or double in size. 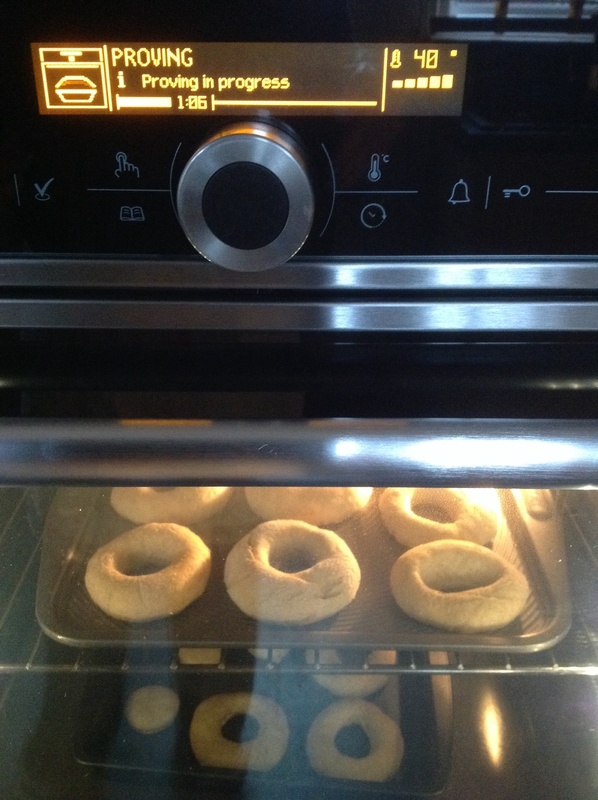 Select proving on Luce oven. 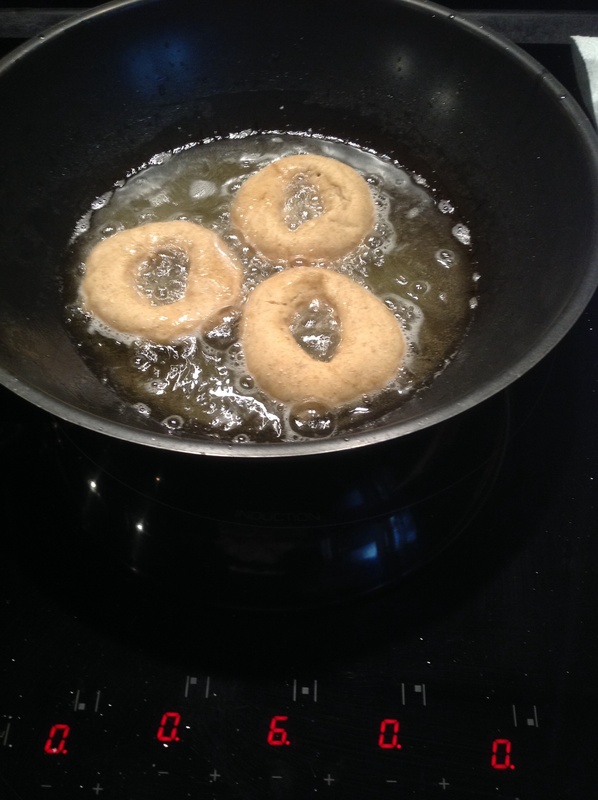 remove using slotted spoon and put onto kitchen paper, using the remainder sugar coat doughnut and serve. Option to have chosen sauce for dipping….ie: melted chocolate……Mmmmmmmm.